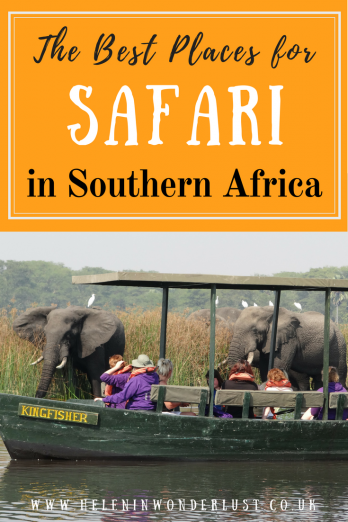 So you decide to go on an safari in Southern Africa? That once in a lifetime trip! But then where on earth should you go? There are so many AMAZING places to choose from and they each have their own special characteristics and unique eco-system. As well as this, every safari is different, you may see a lion one day and the next they’re nowhere to be found. There is no better place in the world to spot wildlife than in Africa and there are options for all budgets – from self-drive & camping, to luxury safari lodges and romantic, champagne, hot-air balloon rides. As I travel more and more in Africa, I will add to the list. But for now here are my choices for the best places for safari in Southern Africa and why I think you’ll love them! I may be kind of biased, as you will know, I love Zambia, it was the first destination in Africa I visited but South Luangwa is a special kind of place. I’ve been twice now and I’ve loved it both times. The first time was with my overland group. The second time I was travelling alone, but myself and another solo traveller joined a family on their safari (thank you van Der Was family). “I am sat in the early morning light, writing to you from a shady spot on the banks of the Luangwa River. It’s 6.45. The sun is rising slowly above the horizon and I’m feeling very content. Everyone else has gone on a morning game drive today, but I’ve decided to spend the morning at camp, as I went yesterday afternoon. 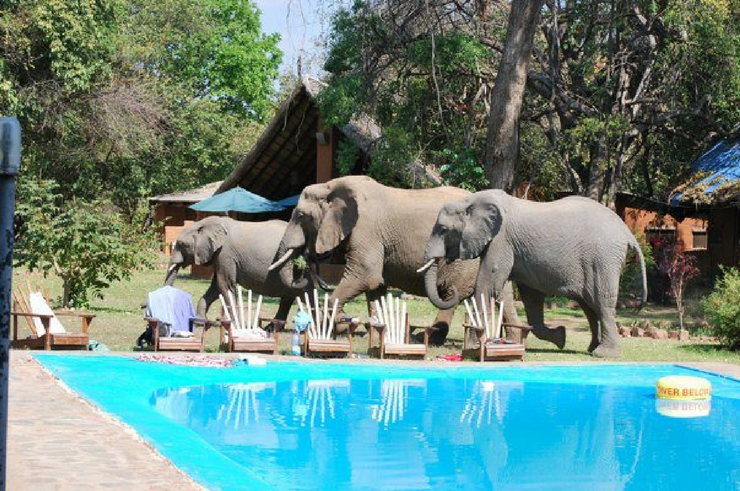 Yesterday, a herd of elephants came crashing through the camp whilst we were sunbathing by the pool and I had to run for cover. But now it’s quiet and the only sounds are the tapping of the keys, birdsong and a few grunting hippos. This was South Luangwa to me. Made up of woodland savannah, golden in colour, South Luangwa is a great place to spot big cats (including leopards), giraffes, hippos, elephants, crocs, buffalo, antelope and beautiful birds. Base yourself on one of the camps along the river, grab yourself a Mosi beer and enjoy the view. I guarantee that you will find it difficult to leave. One of Africa’s lesser known, but pretty amazing, safari destinations is Liwonde National Park in Malawi. The Shire (pronounced Shiray) River meanders through the park, offering ample views from both land and water and there are few pleasures more peaceful and serene than cruising down the river in the hazy morning light. 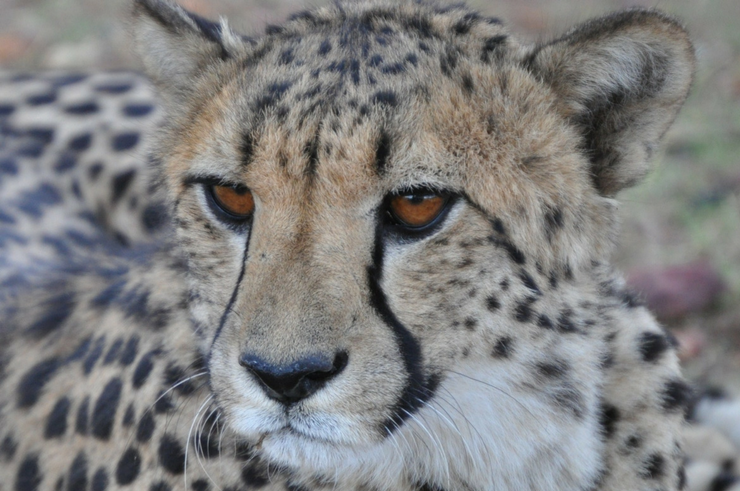 Liwonde hosts an abundance of hippos, crocodiles, elephants, antelopes and rumour has it that lions and cheetahs will be reintroduced in 2013. 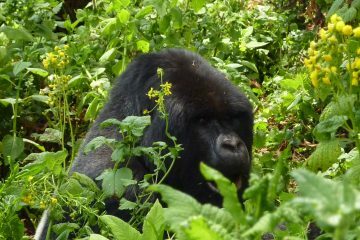 Liwonde is also a great place for birdwatchers with over 400 species present. A view doesn’t come much better than this, does it? 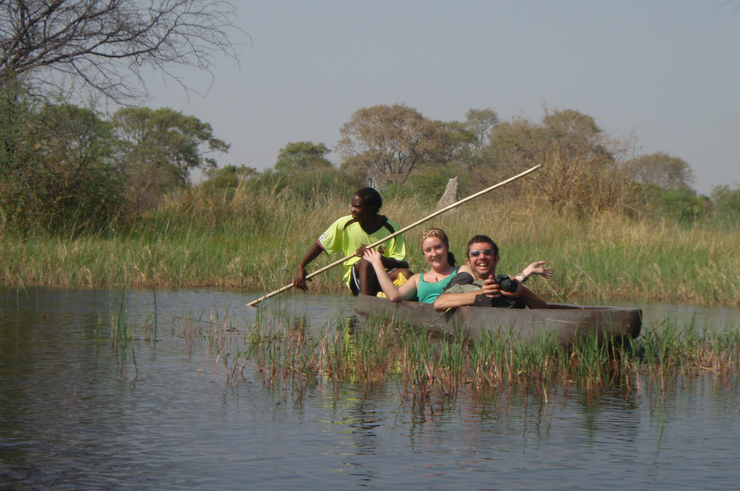 The Okavango Delta is a very different experience to the other safaris you might take in Africa. Imagine the scene, you’re reclining in a mokoro (traditional dug-out canoe), being punted along through the clear, but reed filled, shallow waters of Botswana’s Okavango Delta. The only sounds are the odd call of the wild and the feint drag of the water against the boat. The sun is setting and you can hear the feint call of hippos in the distance. As you pull up to the open lagoon, your guide motions for you to be quiet. Then you see a twitch of ears and a pair eyes pop up from below the surface. Hippos. Yes, it’s as magical and eerie as it sounds. Now you are really in the wild. 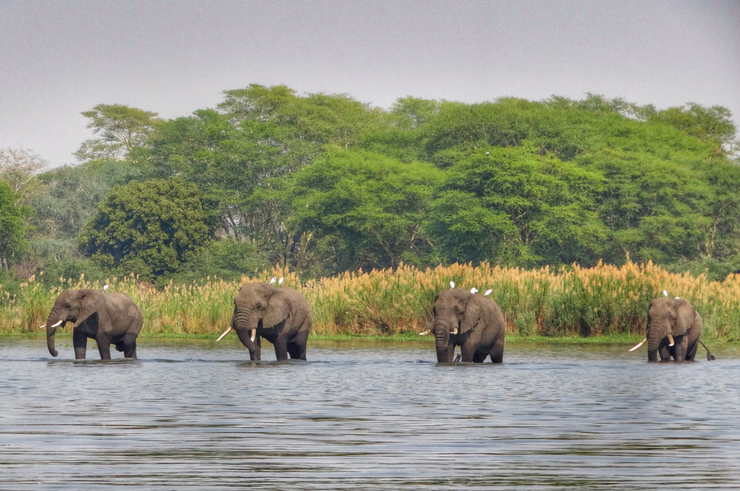 If you are an elephant lover like me, Chobe is the place to be! 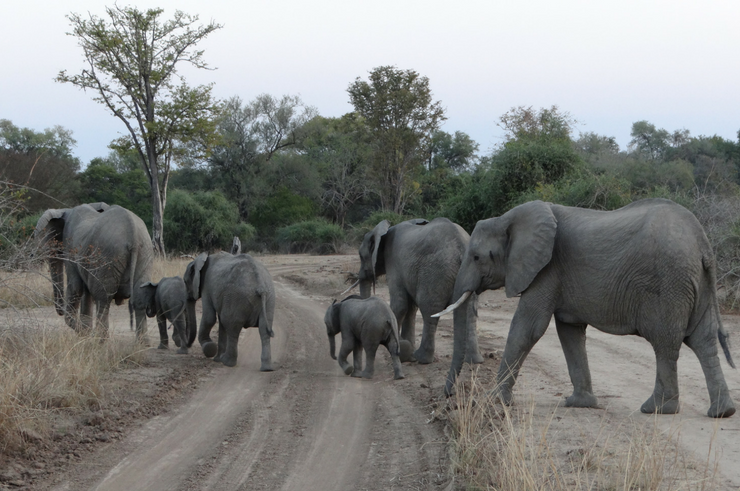 It is estimated that around 70,000 elephants live in the park, so if you don’t see some, you’re in the wrong place! 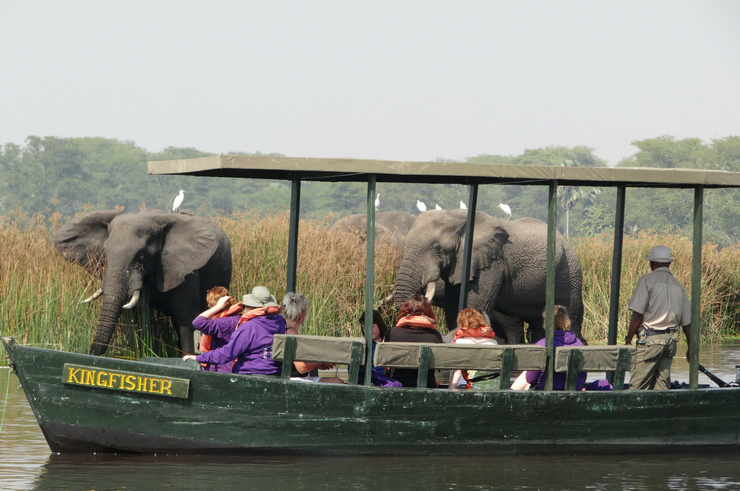 Chobe is accessible by both land and water so you can take safaris by boat or truck, which will give you great opportunity to see the elephants playing in the river. Etosha National Park, situated in north west Namibia, is quite different to the other national parks in East and Southern Africa. It has a more a barren, white, almost post-apocalyptic landscape. In fact ‘Etosha’ actually means ‘Great White Place’, so called because of the salt pan it surrounds. In the dry season the viewing is extra good as the animals gather to drink at the many waterholes, which makes for great viewing. I saw a lion, elephants, giraffes and zebras all drinking together. However I have a feeling the other animals kept one eye on the lion. All of the camps in Etosha also offer night time viewing platforms. A very special experience indeed. To find your perfect safari destination click here. 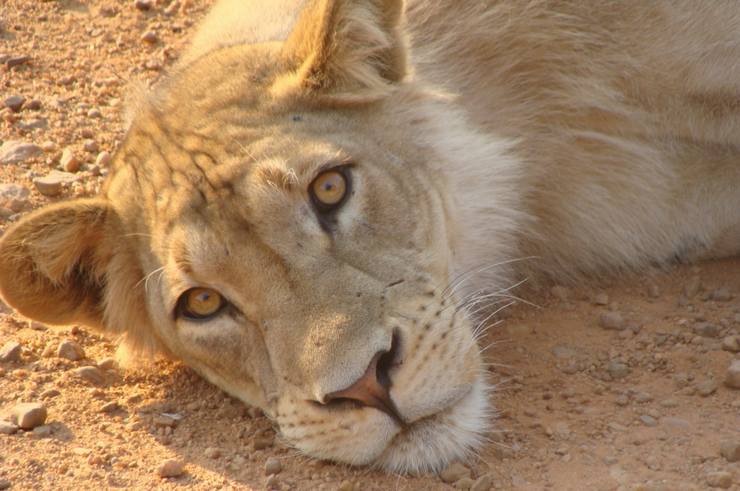 Have you ever been on safari in Southern Africa? Where else would you recommend? Blimey! You’ve been to a lot of national parks!! I absolutely loved the Serengeti and Ngorongoro. I couldn’t imagine anywhere being better! I’ve been to a few more as well! 🙂 But the post was getting waaaaay to long! Ha ha! Here’s a question….if you have limited time (one week? ), where would you go? I know a lot of people that hop from one park to another, but that takes up time and the plane costs can really add up. One week for just safari… I would say Tanzania/Kenya. Serengeti, Ngorongoro Crater and Masai Mara are all near each other. 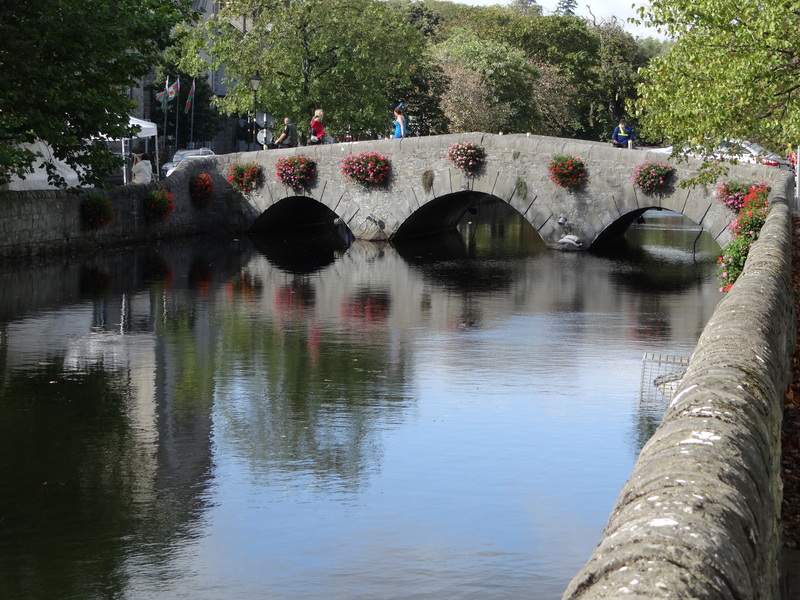 Easy to go via a tour company in a jeep/car/bus or via public transport. I think the East Africa visa should cover you for both now so no extra fees. You can fly direct to Nairobi and go from there. Zambia and Malawi usually require you to go via Jo’Burg so adds on a good few hours to your flight time, plus waiting in Jo’Burg airport (but as airports go, it’s pretty nice). Namibia and Botswana are amazing, but the landscapes are very different from East Africa. If I had two weeks… I’d probably head further south and explore Zambia/Botswana/Namibia/South Africa. 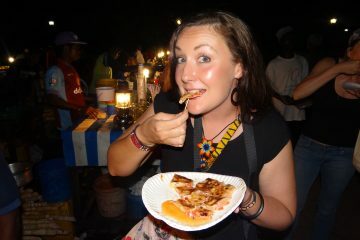 Or add in more of the Kenyan parks… Amboseli, Nakuru, Hell’s Gate and maybe a cheeky trip to Kilimanjaro. Or you could bolt on Uganda/Rwanda instead. Or you could do Malawi/Zambia as one. All these would mean quite a bit of overland. But then, I love that part! I can help you plan if you like. Are you looking for budget/medium/high end? How much driving are you prepared to do?? I offer homestay accommodation as well so if anybody is visiting Nakuru and would prefer to stay at a homestay kind of accommodation, email at maryjw2003@yahoo.com. Ooh, I’d love to go to Borneo. Orangutans are so beautiful. Masai Mara is wondeful. I have a friend who owns a camp there and runs safari trips if you are interested? 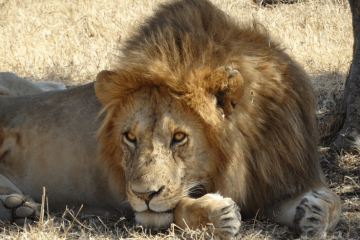 Safari can be expensive… but so worth it!!! I hope you get to go somewhere amazing!!! Ngoronongoro Crater was for me the most amazing Safari experience; so many animals on such a tight space. Gorillas was the second most valuable experience.. I love them all! 🙂 Can’t get enough of safari! Even the same national park on different days is so different! Woah this web site is wonderful i enjoy looking through your posts. Be inside the very good pictures! You now know, many individuals will be hunting around just for this facts, you could possibly assistance these people significantly. Thanks so much Tabby! Glad you enjoyed my posts! Thanks for reading! Such you are right South Luangwa National Park, Zambia best untamed life havens on the planet, and not without reason. The centralization of creatures around the Luangwa River, and its tidal ponds, is around the most serious in Africa. Pods of hippos number in the hundreds, there are lions, panther, elephant, African wild mutts, interesting types of zebra and giraffe, and also over 400 types of winged animals. Wow, love your photos, Helen! Glad to see that you’ve done safaris in many different countries. I agree with you. Each place has different landscapes, flora and fauna. And each safari is special – even the same place, it’s different when viewed in a different season. I was born in Mombasa on the Kenyan coast and I have been to the national parks all over my country. The Mara is by far the best one, the foothills of the Kilimanjaro and the Mount Kenya National Park are some really good ones. I have a special place in my heart for the Tsavo National Park, great place to see elephants. My family and I used to go there for an odd weekend and I remember one time my dad was driving up in our minivan to a camp site where we would have lunch. In the distance we saw what looked like an unrolled tyre across the road. He was driving at about 50kph on this road. It wasn’t until we were within 30 feet of the tyre, that we realised that it was a massive python moving across road. Insinctively he slammed the breaks on, and sent me flying towards the windscreen. I did react quickly and avoided smashing through the glass. I learnt 2 things that day. The importance of seatbelts, and that you never know what you’ll find on safari, just keep your eyes open. I am traveler lover and like to visit different kind of places in my holidays. Masai Mara National Reserve, Kenya is one of my favorite. Hey! It’s one of my favourites too!!! Especially during the migration!